On the first day of Christmas, my true love gave to me…a song I can’t get out of my head. On the internet today is a chain mail article saying the song, “The Twelve Days of Christmas,” is a coded song meant to represent twelve concepts from scripture and the early church. Snopes.com got this one right when they debunked this association. Sure, there are twelve ideas we can identify in Christianity with varying numbers associated, and Christians have God hanging on a tree, but this is not what this song is about. So what’s the big deal about the twelve days of Christmas? The song itself came out in the 1700s, and there have been many variations of its verses. Some think it was a song meant to be a game of memory where recitation got you prizes and a lapse in memory could have you paying a kiss to your neighbor or some other predetermined consequence. But the gifts mentioned in the song don’t really have anything to do with the Twelve Days of Christmas. Jesus was born on Christmas Day (whatever day of the year it was, it was Christmas). He was born in a stable, wrapped in swaddling cloths (like a newborn Passover lamb), and placed in a feed trough. The manger scenes we see today have Mary and Joseph and Jesus (with a halo) and an angel (with wings) and the shepherds from the fields outside Bethlehem. But this is where the quasi-historically accurate depiction ends. Most manger scenes I’ve seen come with a set of wise men visiting the newborn King in the manger, but that’s not what the Bible records. Did you notice where they went to visit the Messiah? A house!! The twelve days of Christmas begin at Christmas Day with the birth of Jesus and end on January 6 with the visit of the wise men. It is said that the star appeared when Jesus was born, and it took the Magi 12 days to arrive in Bethlehem. The night before the 6th is considered the “Twelfth Night”, which was made famous by Shakespeare. On that night, some cultures hold a great feast complete with a king cake iced with yellow, purple and green icing to represent the gifts of the wise men. This cake is more commonly used in Madrid Gras in the US. Some cultures begin with one present on Christmas Day and give one present each day until the 6th of January, celebrating the whole Christmas season encompassed in the stories within Matthew and Luke. In our culture, we usually focus more on the days leading up to Christmas than the days after Christmas. By the day after Christmas, we’re exhausted. For those of you who feel guilty every year because you don’t take down your Christmas decorations until after New Year’s Day, leave them up until January 6 and remember the coming of the wise men. If you have a Nativity Scene, maybe leave the wise men out and add them on January 6th for a week or so. There are many ways we can have fun with all the stories and traditions surrounding Christmas. But what is most important is that we don’t forget to celebrate the Joy that comes because God became flesh and made his dwelling among us. Merry Christmas, and may your True Love (Jehovah) bring you hope through Jesus this season. Several years ago I was introduced to a book that would shape the way I think about grace and love and God. It is one of the top four books I’ve ever read, and ever so often I revisit the book to find encouragement. This March, a movie will be released that is based on this book, and I couldn’t be more excited about it. What’s the book? The Shack by Wm. Paul Young. Even though this is one of my favorite books, it is causing quite a stir in the Christian community especially because of how he book portrays God. This book, when you first meet God, portrays him as an overweight black woman named, Papa. So much of our culture emphasizes the masculine. We talk about God as Father and King and rightly so. We refer to God as “him” as the bible does. But could God portray himself as a woman? In order for us to fully understand the concept of God, we must remember that God created man and woman. There is no way on earth a man could comprehend a woman enough to create one. They’re just too enigmatic to us guys. The Creator, by necessity of the concept, must transcend the limitations of his creation. God is not a man, nor is he limited to our concepts of manhood. God is not physical at all. The scripture says that God is Spirit (John 4:24). In the Hebrew, the word for spirit is “Ruah”, a feminine word. In fact, in this book/movie, the Holy Spirit will show itself as a woman. In order for women to be made “in the image of God”, they must display the attributes of God. The things that you think of as feminine personality characteristics are throughout scripture as characteristics of God – not merely manly characteristics. Characteristics like love, nurture, and compassion are traditionally associated with women in our earthly culture. So, I don’t have a problem with this book allowing God to portray himself as a woman if the situation calls for that manifestation (spoiler: later in the story, he switches back to the elderly father-look). What’s the point? God, Jehovah, is God because he is grander than our ability to comprehend. His ways are higher than our ways (Isaiah 55:9). His foolishness (if that even makes sense) is wiser than man’s greatest wisdom (1 Corinthians 1:25). He existed before there were the constraints of our universe, including time. He is an other-dimensional being that we cannot fully comprehend. If we could, he would cease to be God. Every time humans try to put limits on God – put Him in a box – He breaks the box. There are no limits to His grace and love, though many have tried to say there is. He doesn’t sleep or get tired (that gives different perspective on the need for the seventh day – rest – in Genesis 2). He is the God of the universe, above the universe, who holds the whole world in His hands. That’s my Heavenly Father. That’s my Papa. And just like a kid comparing his dad to others’, I can’t accept any lesser God to take his place. 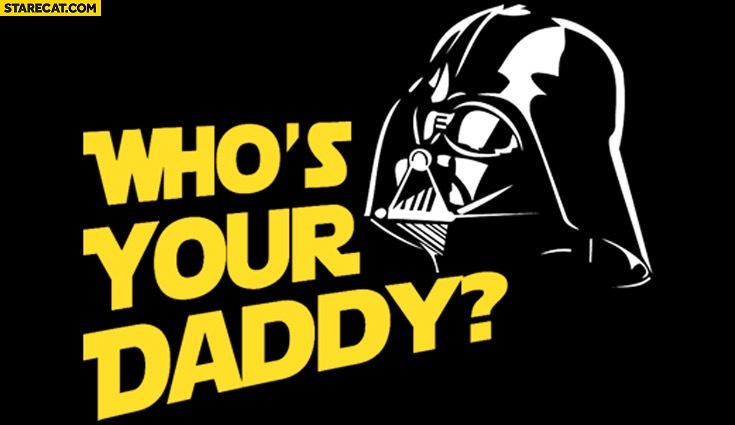 So, who’s your daddy? The limitless God, or some idol concocted by tradition. Mine is Jehovah. Image there was a supreme, other-dimensional being that decided to create some humanoids. He would have a plan for them to love each other and even love him. If they got out of line, there would be strict consequences, for they were the created beings without the right to dictate their own way. Imagine that the beings that were created were considered awesome by this supreme being, and he began to love them as if they were his own offspring. However, the created ones began to rebel and do their own thing. They began to treat one another with disdain and hatred rather than love. They began to destroy the habitat in which they were placed. They began to destroy one another. The supreme being had set the rules in place from the beginning of this creation, and now he had to justly punish these beings, but he loved them. He tried to encourage them to turn back to his ways by showering them with blessings even allowing them to reap the consequences of their behavior. Try as they might, however, the created ones just couldn’t break this selfish habit that had become ingrained into their culture to the very roots. The supreme being could destroy them. He created them, after all. 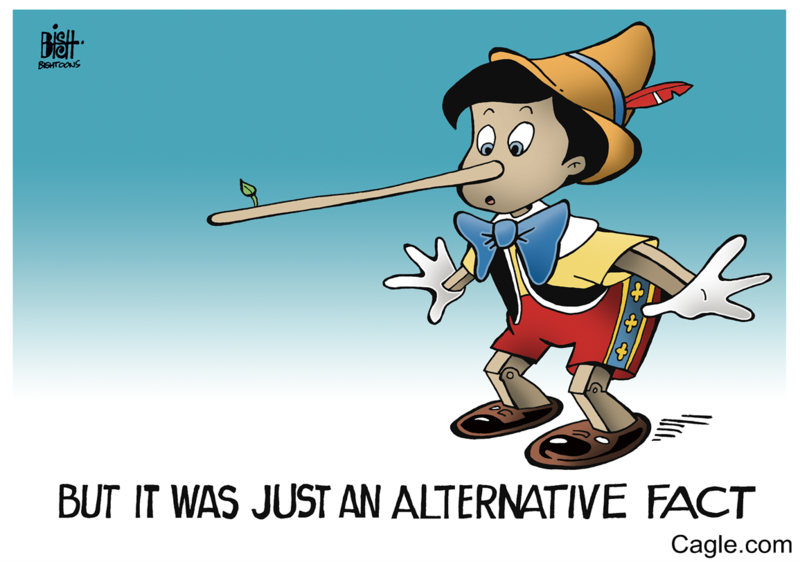 But he loved them. He wanted to see them succeed and find the blessing of life with him. He wanted them to have the opportunity to graduate from this lesser world of imperfection and be able to become perfect in his realm. But he couldn’t understand why they turned away. They didn’t understand how much he loved them. So one day he created himself into their world as a humble baby. Maybe if he grew up as one of them he could understand them more and see how to show them the way to himself. Maybe if he was tempted as they are he would be able to have compassion for them, and they would be able to see his compassion and love. There still lingered the need for consequence for their decision to turn their backs on him and overthrow his reign over their lives. He loved them so much that he decided to take their punishment for them. He inflicted on himself the death that they deserved. He granted them freedom from the consequences of their selfishness so that they would turn to him and live once again in a love-relationship with their creator. He proved his majesty and promise-keeping ability by raising himself from the dead with witnesses. This freedom from consequences would be granted to all people for all time with one catch. They would need to want it. They would need to want a relationship with the creator defined by love and freedom. Some wanted it and some didn’t. Even today, some respond to the call, and some don’t. But for those who realize the goodness of this creator, the salvation offered isn’t just good news. It’s great news! 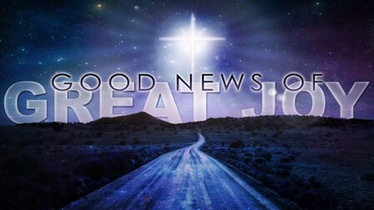 When the angel announced the birth of the messiah, this is the story to which he referred when he proclaimed the “good news of great joy…for all people”. Good news. Gospel.